Sean Szymkowski April 12, 2017 Comment Now! 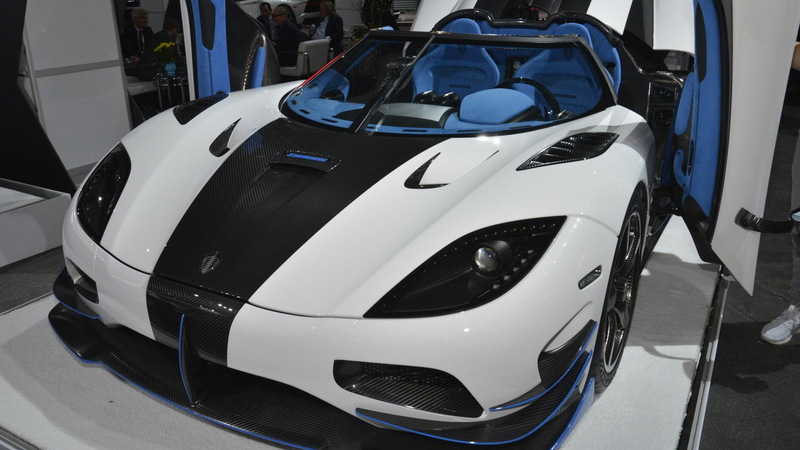 Koenigsegg has brought a special treat to the Big Apple in the form of its latest, one-off hypercar: the Agera RS1. This masterpiece from the Swedish marque boasts a removable roof and is finished in a striking Arctic White exterior hue against a specially selected shade of blue by the car's owner. Said blue is present on the front winglets, side skirts, diffuser, and rear wing. 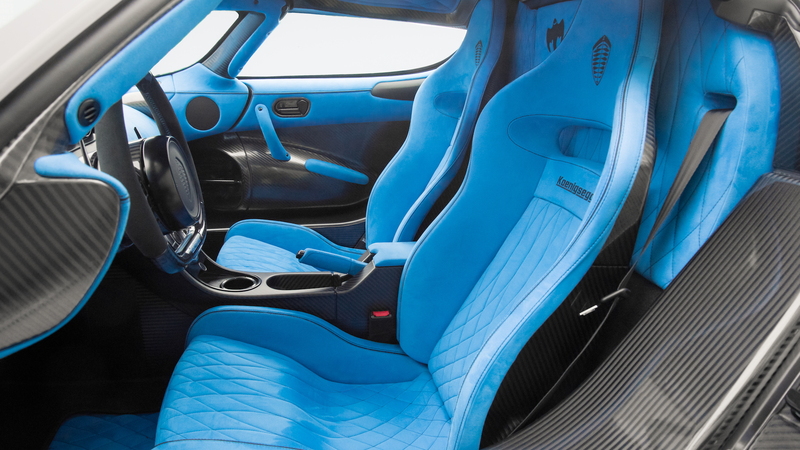 The interior is treated to a similar design, with blue Alcantara playing quite well against the polished carbon fiber and black anodized aluminum. The entire specification and build process were followed closely by the American owner and his son, who not only granted the car's exhibition at the 2017 New York auto show, but graced it with the "RS1" name. 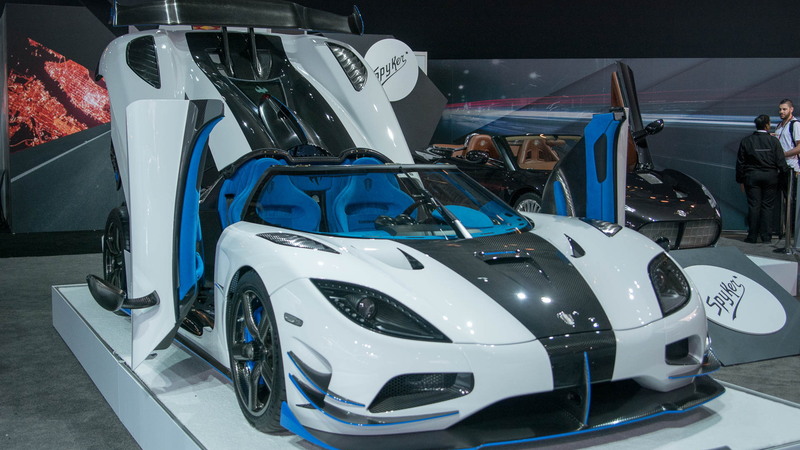 Along the way, they worked to shave the Agera RS1's weight down to the skinny figure of 3,075 pounds to create an extraordinary power-to-weight ratio of 2.26 horsepower per pound, with total horsepower rated at 1,360. Speaking of power, it's derived from Koenigsegg's hand-built, twin-turbocharged 5.0-liter V-8 engine. The mill churns out 1,011 pound-feet of torque, while a 7-speed automatic directs power to the ground. The 0-62 mph run happens in 2.8 seconds, while 0-186 mph occurs in just 12.3 seconds. 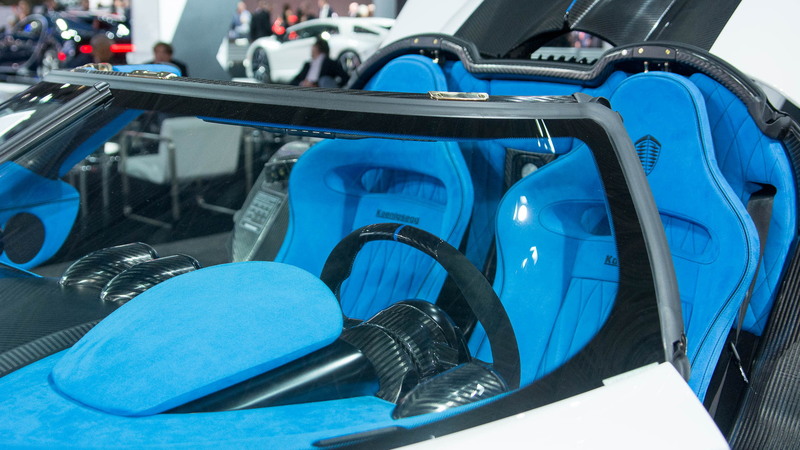 Koenigsegg is particularly proud of the power-to-weight ratio because this one-off Agera RS1 boasts the typical creature comforts found in modern vehicles. Features such as climate control, satellite navigation, and all of the typical modern electronic aids and comforts are present and accounted for. Contrasting that, the Agera RS1 still has no issues pulling 1.8 g around a corner, thanks to unique double-wishbone suspension and the latest aerodynamic gadgetry. The Agera RS1 is the latest piece of Koenigsegg's plan to build 25 vehicles as a part of its "exclusive series." If you're hoping to be one of the 25 owners, time has already run out, as the automaker stated the series was fully booked as of this past January. Not to mention, there's a four-year-long waiting list to even have your own Koenigsegg built outside of this program. 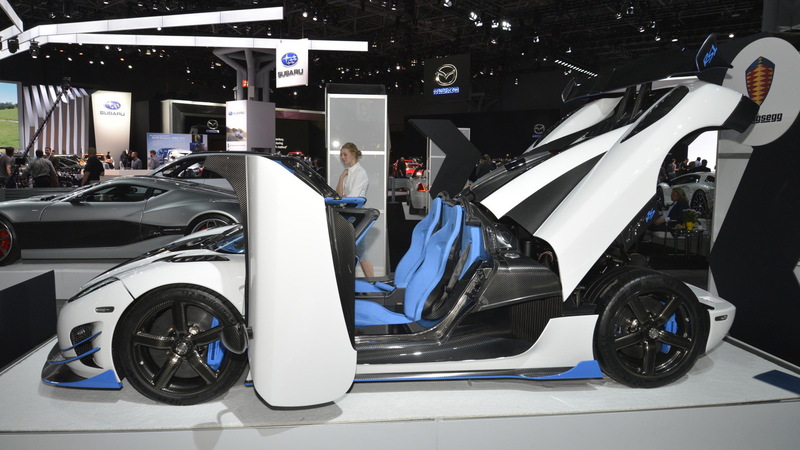 For more New York auto show coverage, head to our dedicated hub.